They’re small but mighty! These little UNIFY services are here when you need them, and make managing your money even easier. Skip the trip. Payroll and government payments safely deposited. Say no to fees. Protect your checking account with funds from your other UNIFY accounts. Avoid the inconvenience of declined transactions. We’ll vouch for you. Resources you need, when you need them. Professional Notary Services for real estate transactions, birth records, financial documents. Safeguard your important documents and valuables. Take the direct route. Have your paycheck or payments directly deposited into your UNIFY account. No more waiting, you’ll have immediate access to your funds. Visit your employer’s Human Resources or Payroll department and provide them the UNIFY Direct Deposit Form completed for them to set up direct deposit of your paycheck into your UNIFY account. You will be required to provide your UNIFY account information. Phone 800.772.1213, or complete the government’s direct deposit online form. For those “Oops, I thought I had more money in my checking account” moments—UNIFY has options! We offer options to pay your transaction—even when you don’t have the funds in your account. First things first, we’ve got your back. 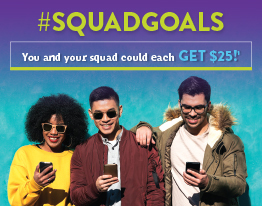 Your UNIFY Checking Account already comes with standard Courtesy Pay that covers your checks and any recurring transfers set up using your checking account number and routing number, up to $750. There is a $30 fee for each transaction covered. Don’t need this? Just phone us and opt-out. We can remove this from your account. Protect your UNIFY Checking Account from overdrafts and fees1—when a transaction processes and you don’t have the funds available, you can advance funds from your UNIFY Credit Card or line of credit, or even pay it from available funds in your UNIFY Savings Account. We even offer a Courtesy Pay option for debit card and online transactions (that doesn’t use your routing number) from being declined. You’re covered up to $7502, with a $30 fee for each transaction. To opt-in visit a UNIFY Branch or call us at 877.254.9328.
once Overdraft Protection is depleted. COST TO SET UP Free. Free. FEES FOR USE Cash Advance fees may apply for credit card use, depending upon your agreement. $30 per transaction, up to 5 fees per day. No charge for additional daily transactions. REPAYMENT Immediate withdrawal from savings OR repayment based on terms of credit. Overdrafts must be repaid within 15 days. 1 There is no cost to set up Overdraft Protection. Transfer and other fees may apply if you use this service. An overdraft transfer from your UNIFY Visa credit card will be treated as a cash advance. Overdraft transfers from your credit card or line of credit accrue finance charges from the date of transfer until paid in full. See your account agreements for further information. UNIFY Line of Credit and VISA Credit Card subject to credit approval. UNIFY Financial Credit Union is an equal opportunity lender. 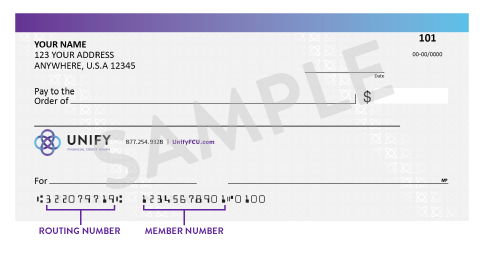 2 Your UNIFY membership must be in good standing to qualify for the Courtesy Pay program. We reserve the right to discontinue or reduce Courtesy Pay privileges at any time. Using Courtesy Pay may be more costly than other overdraft methods we may offer. The search is over! You’ll find the applications and forms to get the UNIFY services and products you need. As a reminder, to ensure your personal and account information is protected, please use our Secure Message feature within eBanking to communicate with us securely. Please do not use your personal email to send account numbers, personal data (such as a social security number), or attach a form that contains this information. Personal email is not secure and should not be used to transmit any personal information that connects you with your account(s). UNIFY documents are notarized at no cost, and non-UNIFY documents are notarized for a small fee. Fees vary by state. Safeguard your important documents and valuables. Don’t let fire, theft or damage rob you of an irreplaceable family heirloom. Box size, fees and availability vary by location. The number for the checking or savings account in which the funds will be deposited. The top 10 reasons you need a credit union.